Notable contributions in algebraic topology as well as solution theories. Sergei is an excellent Field Medalist whose significant contributions to Math are highly recognized. He was born in the Soviet Union in the year 1938 on the 20th of March. Sergei is a highly respected Russian Math expert who has notable contributions in algebraic topology as well as solution theories. He got awarded a medal in 1970 because of his excellent research on such topics which took Math to another level. There are many of his works which are in use today such as the Novikov ring. Sergei was born in Gorky to a line of exceptional mathematicians. His father, Pyotr Sergeyevich, had great talent in the field of Math and Sergei soon picked up some skills along the way. Pyotr had considerable influence in the realm of Math by giving negative solutions to word problems for groups. His mother Lyudmila, as well as his uncle Mstislav, was also an excellent mind on the subject. Surrounded by such amazing brains, Sergei was able to learn a lot about Math at a young age. It, therefore, is no surprise that he grew up to win a global award on the subject. Sergei got a place at one of the best universities in the country, Moscow State University. That was in 1955. He walked away with a degree five years later. Four years from his graduation, he received an award from the scientific society in Moscow. After receiving an award, he wrote and defended his dissertation. He pursued a doctorate and joined the USSR Academy of Sciences. At first, Sergei’s primary focus was on cobordism theories. His hard work enabled him to explore the spectral sequence and discover a powerful tool. He later moved on to the adoption of homotopy groups where he excelled. His contributions to the work of other people got a lot of praise, and the work got incorporated with various theories. For example, his work in the spectral sequence led to further research in homotopy theories. Sergei also had an interest in geometric topology, and he conducted a lot of research on the matter. He was able to prove the problem in the topological invariance in the Pontryagin classes. He went ahead and posed a conjecture which he named after himself. His work in topology was so impeccable that it could not go unnoticed. As such, the committee awarded him a medal in 1970 as a way to honor his achievements. That was not the first medal he had received for his work. In 1967, he got the Lenin Prize. 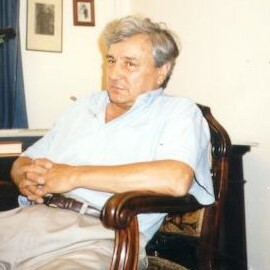 Sergei achieved more success over the years, thus bagging the Wolf Prize and the Lobachevsky Medal in the years to come. He teaches at the University of Maryland College where he continues to make scientific advancements as he shares his knowledge with eager students.